If ever there was a more mismatched pair, then it would surely be Tsukikage and Higitsune. A point of contention arises during the Space Live when Tsukikage realizes that both she and Higitsune are wearing traditional Japanese clothing reminiscent of shrine maiden costumes. Oh, the horror! Tsukikage is aghast at the sudden development and her immature side is unleashed for Net Space to see. Their dynamic is riddled with similar moments, serving to highlight their obvious differences in temperament and age. Higitsune delights in teasing the young idol, going so far as to call her a fledgling at every opportune moment. Such behavior is not malicious, and instead hints at more of a mentor-student relationship between the two. Much to Tsukikage’s chagrin, Higitsune takes the upper hand throughout the Space Live performance, showcasing the clear differences in their ability. Why does Higitsune stoop so low as to tease an inexperienced idol like Tsukikage? Because it’s fun, of course! Higitsune’s main reason for participating in the Space Live is to derive some form of entertainment from the various performances. Claiming the throne or subscribing to some form of idealistic beauty is not in tune with her modus operandi. With that in mind, the other browsers are fair game, ripe fruit ready for the picking. Perhaps Higitsune has taken a keen interest in Tsukikage because she has yet to blossom? In any case, their relationship in the game serves a comedic purpose at times and is entertaining for the reader, as well. Tsukikage probably takes the cake as the cutest browser of the group because of her gung-go attitude and her perseverance despite the odds being stacked against her. One cannot help but admire such tenacity in the face of mature beauties like Sarifa or Chrome. Despite the constant teasing, Tsukikage is learning from Higitsune throughout the Space Live performance. It may seem a bit callous at first, but the added experience will surely bolster Tsukikage’s confidence in the long run and allow her to flourish as an idol. Higitsune’s penchant for the unexpected is also something that will likely rub off on the boisterous Tsukikage. 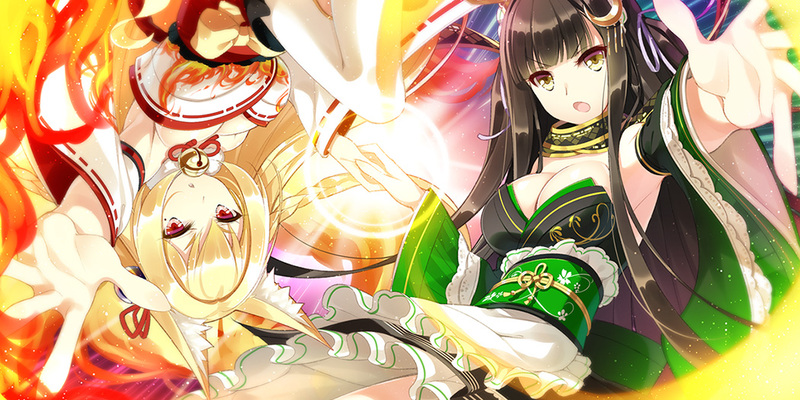 Tsukikage’s adherence to rules and guidance from the other idols restrains her creative spirit and shackles her to the ground as the other idols are soaring in the sky. With time, Tsukikage will likely take a page out of Higitsune’s book and unleash a creative performance upon Net Space. The battle of the ages has come to pass, bringing with it stylish performers ready to fight for the crown. Youthful splendor and mature wiles are about to clash amidst the familiar stage. Answer the call to arms and follow your favorite browsers to the finish line. The next Space Live is yours for the taking! Pre-order Space Live now and save 10% or pick it up on Steam when it’s out tomorrow! Is Tsukikage a parody of something in particular? The only thing that comes to mind is sleipnir, but I’m having trouble placing it. Tsukikage is a parody of Lunascape, a browser that’s popular only in Japan.